Made of Sirius kernmantle polyester, this novel adjustable anchor device is impressive because of its well thought-out design. 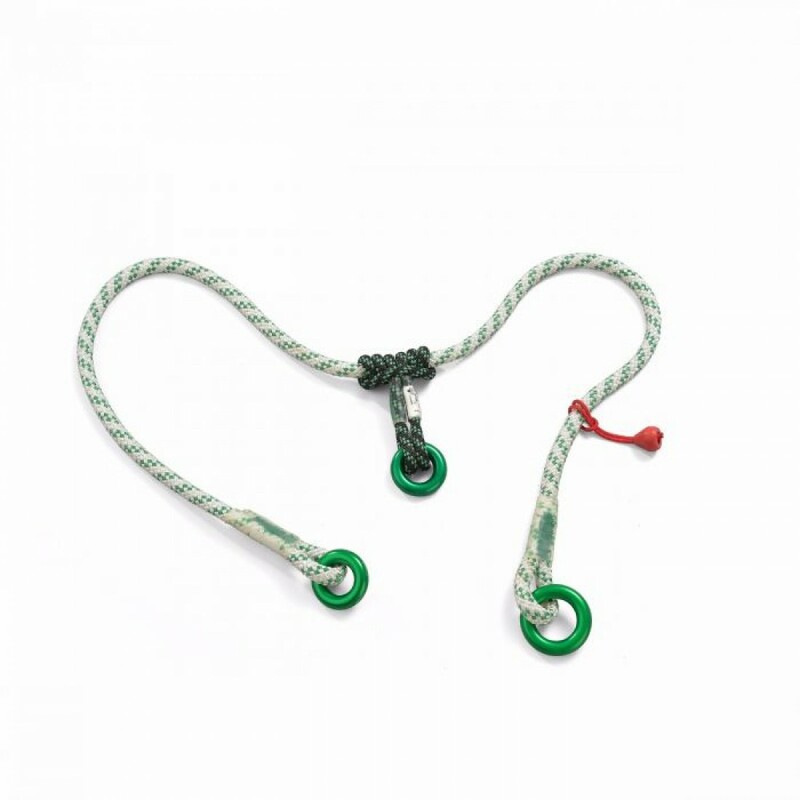 All components such as integrated rings, Prusik rope adjuster, and stopper ball are perfectly compatible with one another. What is more, multiSAVER boasts a patented splice [slaice] and is length adjustable via the integrated prusik (purchased separately - see item TEU-9350803) ensuring functionality and great ease of use. Such is the durability of this product, TÜV have stated that after arresting a fall, Sirius multiSAVER may be safely retained in service for the duration of an ongoing rescue.